This costume was a great success. The bulk of it was made in a two week period and it was pretty comfortable to wear. 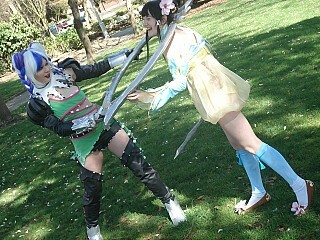 The only real problems that I had were the wig dying my forehead blue (since I dyed it with sharpie) and my weapon being kind of flimsy because i had to cut it up to fit in my suitcase to seattle. 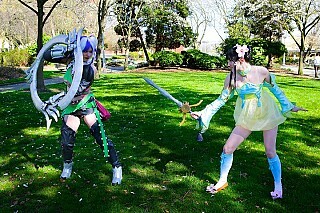 Its been a tradition for my sister and I to cosplay a character from soul calibur when the game comes out. They killed off my two favorite characters though (sophitia and talim), so I went with tira because shes so insane and would be interesting to cosplay. 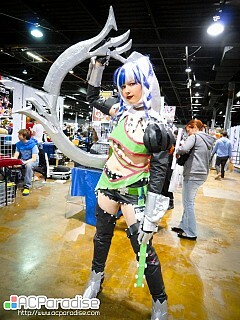 What really made me fall in love with this costume is her hair. It was really cool to see them add funky colors and a unique hairstyle to her. It was a pain to make though lol, but i feel like it turned out alright. 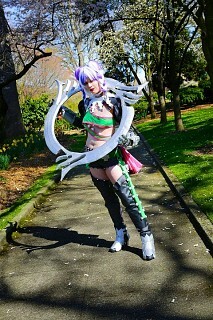 I also love that she played a pretty integral role in V. Wish I had a pyrrha to play around with at the con though XD. The arms and legs were made out of pleather while everything else was cotton. The spikes were made from model magic. 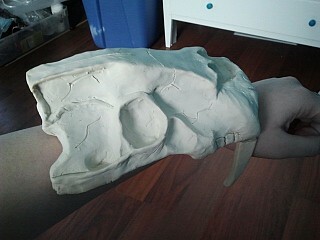 The skull arms were made from a mixture of gesso and clorox handi wipes. 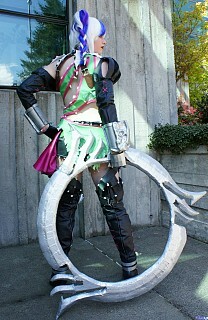 The ring blade was made from pink insulation foam. 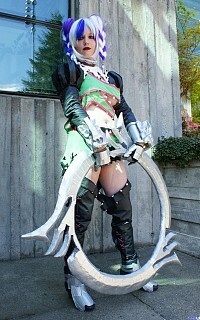 The armor was made from craft foam covered in styrene. 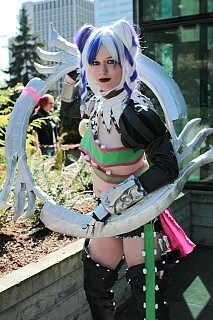 The wig was dyed with sharpie (which was a dumb idea) and made from a silver hatsune miku base. I think thats all for explanations :D. Feel free to pm me with questions. Narnian You did a wonderful job! I love your group!